The Somersworth Festival Association constructed this Pavilion in order to accommodate the many events that are put on each year. 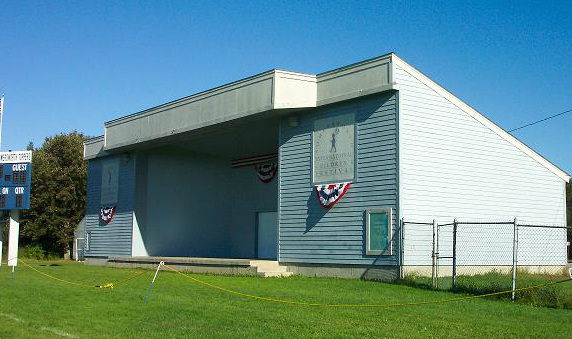 This building is located on one end of the Somersworth High School Football field and features a permanent forty foot wide raised outdoor stage. Not only is this magnificent Pavilion stage used by the Festival Association but it is also utilized by other civic groups in the community as the location of a great number of activities, concerts and events. The building, which also doubles as the central storage facility for the Association, was built by Festival Association funds, grants, and a multitude of fund-raisers and then was finally constructed with the assistance of the Somersworth Vocational Center Building Trades Program.